Fees associated with filing patent applications in Croatia as well as other patent fees are available in the fee calculator. The deadline for filing patent applications in Croatia claiming conventional priority is 12 months from the priority date. This term may be restored in Croatia within one year after the due date. 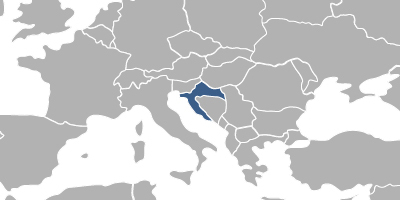 The official language of the Croatian patent application is Croatian. The application may be filed in any other foreign language; however, the Croatian translation must be supplied within two months from filing. The certified copy of the priority document and its translation into Croatian must be provided to the patent office within three months from the date of filing of the Croatian patent application. The official legalisation of the POA is not required for patent registration in Croatia. POA must be filed within 60 days upon receipt of the official invitation from the Croatian IP Office. If neither of the two requests is filed, the application is deemed withdrawn. If disclosure of the information on the invention occurred at an official or officially recognized international exhibition or due to an evident abuse in relation to the patent applicant or his predecessor within six months prior to the filing date, it will not disprove novelty of the invention. Foreigners shall perform a patent prosecution in Croatia through an agent, a registered Croatian patent attorney. 2. The patent protection in Croatia may also be obtained via European Patent and its further validation in Croatia.